Model CHQ-DRC2/M(SCI) is a Marine Approved Dual Relay Controller module designed to provide two general-purpose relay outputs, each output can be driven separately for control of such devices as dampers or for control of plant and equipment shutdown. 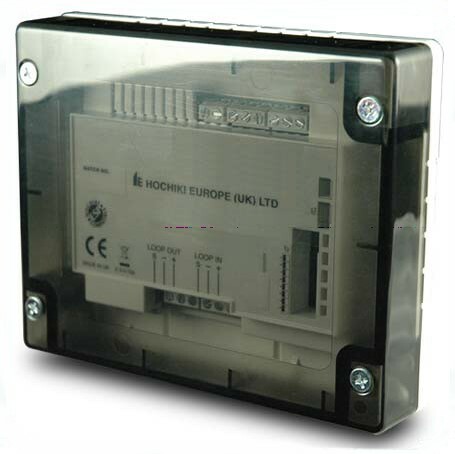 The monitored input can be used for local power supply fault monitoring or as a general-purpose input. The unit also features an integral short-circuit isolator. The CHQ-DRC2/M(SCI) utilises simple DIL switches for reliable addressing. A back box is also available (CHQ-BACKBOX) which, when used in conjunction with the CHQ-DRC2/M(SCI), increases the IP rating to IP65.